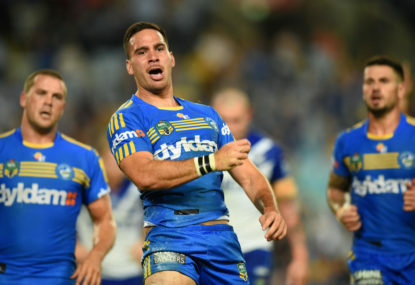 When Corey Norman was released by the Parramatta Eels to sign with the St George Illawarra Dragons, many Saints fans raised their eyebrows, here’s why. 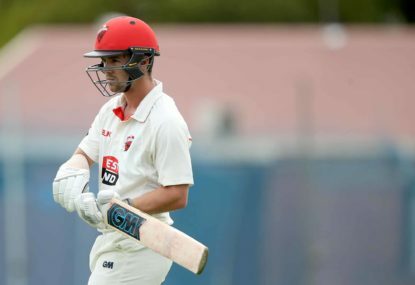 Australia once again find themselves in a situation where they are searching for a new opening batsmen following the failures of white ball specialist Aaron Finch. 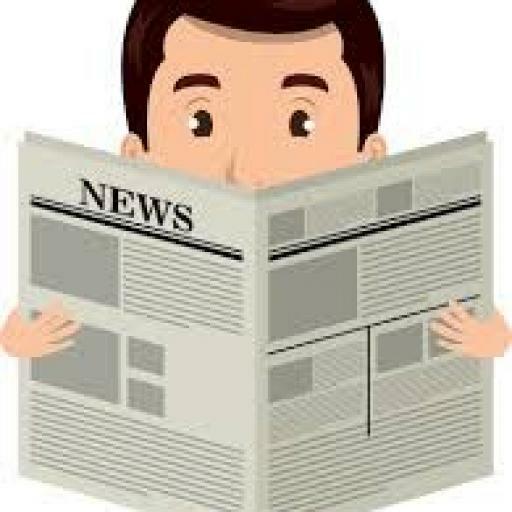 What can we expect for the next Test? Will it be another hard-fought draw for the Australians? With the NRL finishing last Sunday, all eyes are now firmly focused on Australia’s summer of cricket. With only six teams remaining in the NRL premiership, who will take the silverware? Where to now for the troubled Bulldogs? 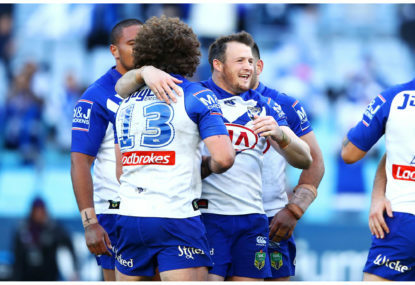 Major salary cap issues, a win separating themselves and last place and, recently, their poor mad Monday behaviour expose – it just goes from bad to worse for the Bulldogs. 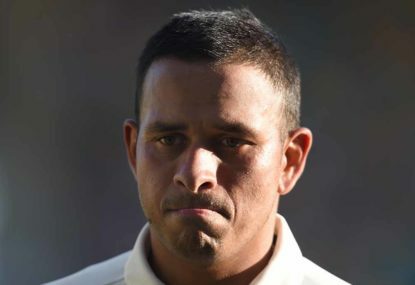 Why no love for Usman Khawaja? 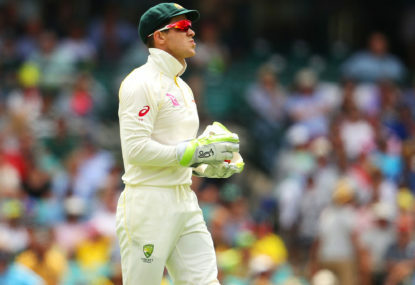 It is fair to say that Australian batsmen Usman Khawaja has had an unlucky run in the Australian team since the start of this year. If u think Carey and Marsh are better options opening than Warner, ur having a laugh. Penrith and Gould under pressure with Griffin sacking and I Cleary recruit, I don’t see them making the 4. I do though, think Manly will surprise a few people in 2019. Done himself no favours. Cotric and Turbo on the wings for the blues 2019. If Shane Watson get going. they’re the team to beat I reckon. I though Sharma and Shami have backed him up well. You might have had a bit too much salt in your last meal. It will take time for them to learn what good hard cricket is. Which is different to what Darren Lehman taught them. Defence may be an issue though. Yes Sims needs to be resigned. 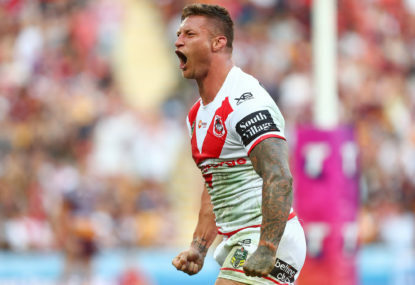 There were many games the dragons wouldn’t have won without Dufty. I think Lomax will be on the wing with Aitken and Lafai in the centres. Jai Field is a liability in defence. I’m saying the money should ve been spent on a winger rather than having inexperienced players there. Does he fit in with the team structure though ? According to nrl.com he only had 15 line breaks mate. Glad you liked it Sledge. Have a good day champ. Why have Latimore when there is already K Sims, Lawrie and Leilua on the bench. In the reserves there is Kerr, Ford, Host and Allgood. Oates would have been expensive, but not 800k. No matter what they needed a big winger who can help the forwards get out of their own half through the middle. Its what they will lose from Macdonald. I’d choose between Wade and Paine. Matt Wade a potential option? I heard he isn’t motivated by the lack of publicity and money. We need consistency, he doesn’t have it. Everyone is begging for someone to lead this batting attack similar to how Mike Hussey and Steve Smith did it. Fast, bouncy wicket. I think I’d be sticking with him, he will suit this wicket. Give him some time to find form, he’ll be good. I think Ponting was more saying that he should never have been opening in the first place. If they want to win, he will go down the order or get dropped. Its like getting a club halfback to play centre for State of Origin. 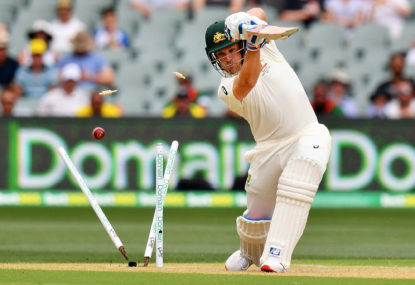 I reckon Marsh deserves another go, but for Finch the selectors just agree that he can’t face the new red ball.